Need to Blow Out the Tubes? Bethesda, MD Explore a powerful, non-traditional approach to practice. Dynamic Meditation guides you from cathartic moving, shaking and sounding to more and more subtle states of awareness, including lying down in deep relaxation. A Meditative Journey: Dynamic Meditation It’s good to register early. Space is limited and this program always has a wait-list. Bamboo flute improvisations by Jonathan Foust. You’ll find these selections deeply restful and meditative. Perfect for meditation, yoga, massage and relaxation. You’ll enjoy four selections made up of simple flute, flute, voice and tamboura, flute and piano and flute and strings, accompanied by the wonderful artist, Todd Norian. To view a video about this product, Click here. Experience what meditators throughout the ages have always known: More profound rest means more profound activity. Regular, conscious relaxation helps maintain clear, vibrant awareness and makes it possible to feel more fully alive. Lying down or sitting up, use these guided meditations regularly to rejuvenate your body, mind, and spirit. 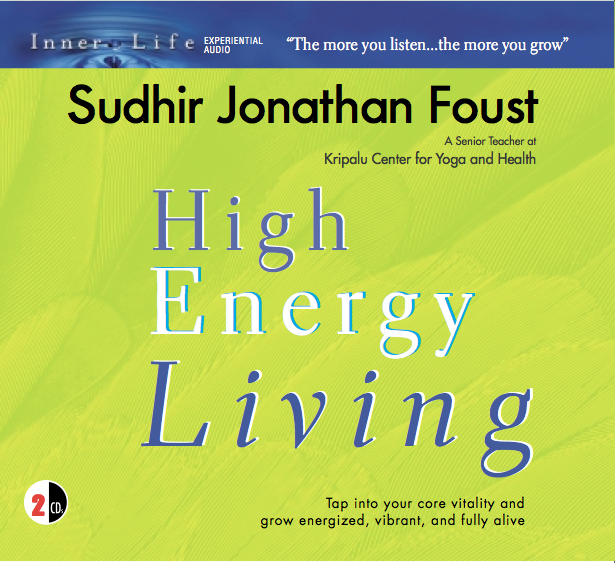 This series of 15–20 minute guided meditations explore cultivating a profound balance of ‘chitta and prana,’ or awareness and energy. As you attune you to the presence and flow of prana—the life force energy—you may find your body, mind, and spirit renewed and refreshed. These meditations will enrich an ongoing meditation practice or assist you if you are looking for more well-being in your life. Great mystical traditions teach that our true nature is passionate, vibrant, and filled with abundant energy. Unfortunately, day-to-day stresses and challenges can create physical and emotional blocks which build up over time draining our natural passion, purpose, and vitality. 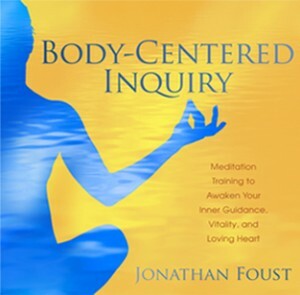 In this original audiobook, you’ll explore how to release physical and emotional restrictions in order to experience a more profound relationship of your body, mind, and spirit. High Energy Living includes a companion musical reflection CD created by award-winning composer Mark Kelso called In the Moment. This soothing soundtrack will provide a harmonious foundation for your inner experiences, keeping you awake, present, and in the moment.